The last time I updated my Greta’s Junkyard Travel Map was in April 2016, and I said that I wanted to be able to save up and visit Europe. That dream finally became a reality, because thanks to the Cupcake who was eager to show me this new side of the world, we got to explore Austria, Slovenia, Croatia, and Bosnia and Herzegovina! Since we’re getting married next year, December 2019, I don’t think we’ll get to travel as much anytime soon—so we can save up for our wedding and honeymoon! But if we had a choice, we would really love to go to South Africa or countries in South America next. Or maybe even explore the rest of Europe! Who knows? 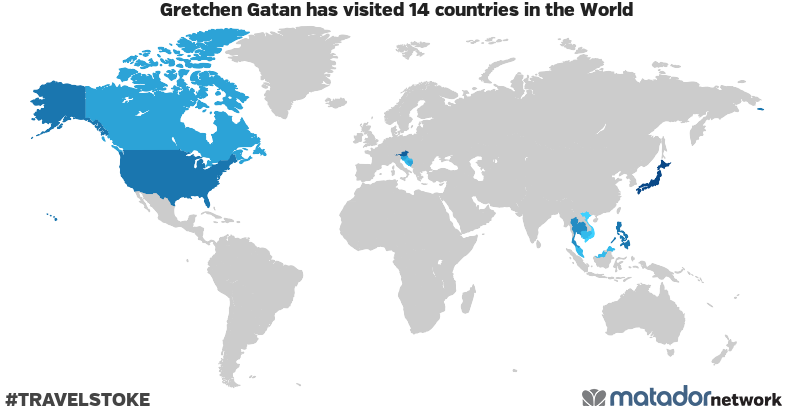 Gretchen Gatan has been to: Austria, Bosnia and Herzegovina, Cambodia, Canada, Croatia, Hong Kong, Japan, Malaysia, Philippines, Singapore, Slovenia, Thailand, United States, Vietnam. ‹ Save the Date: Greta’s Junkyard Turns 5 + A Major Announcement	› Our First Siblings Only Trip to Singapore Thanks to Klook PH!